Social Dissonance – Blasphemy or Opportunity? I am sure that most people who use Facebook must have felt a pressing need for a an ‘unlike’ button at least once so far. There are a lot of irritatingly clichéd, painfully faked, ostentatiously humane kind of shares, messages, pics and videos out there so much so that you would sometimes cringe at even a hint of such posts. 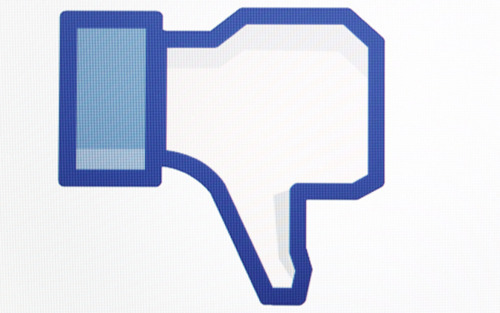 Give me an ‘unlike’ button or better still ‘hate’ button – you might yearn, at such times! The bad news obviously is that Facebook bans even the usage of the words ‘hate’ or ‘unlike’ in the Apps and hence developers are told that it is a strict ‘NO GO’, evidently in the spirit of fostering more inclusive communities, curating conversations and triggering engagements that are more positive in nature.The good news however is that very recently, a new kind of App has come into the ‘Social AppSphere’ that kind of comes close to this ‘dislike’ / ‘hate’ kind of intent. Records say that it became so controversially popular that it had got more than 10,000 users in just 36 hrs. Enter EnemyGraph. Created by a Dean Terry and his Grad Student Bradley Griffith (at University of Texas at Dallas), EnemyGraph essentially is a Facebook App that lets you identify, create and share your enemies list with your friends online. I have to admit that when I first heard of it I wasn’t very impressed by the idea. It smacked of something that’s trying hard to be innovative by deliberately trying to think different. But before pursuing the story further on the WWW, I froze in my heels and tried to argue with myself to see if there is something more to it. Let’s get back to the basics – What are communities? and how are communities built? Wikipedia defines a community as a group of people that share common values and are bound by ‘social cohesion’. Now these vibes of cohesion or a shared set of values/beliefs are nothing but those that are created out of very strong affiliations – affiliations that are overwhelmingly positive or negative in sentiment. So any strong sentiment that is overwhelmingly positive or negative in nature turns out to be a potential binding force for bringing together groups of people as strong communities. This very insight must have triggered this ingenuous attempt to foster and leverage upon the seeds of social dissonance planted in the social media landscape. At a very simplistic level, assume that you like Justin Bieber, but one of your friends lists him as an “enemy.” EnemyGraph will send you a “dissonance report,” pointing out the difference and offering it up for conversation. What is actually happening here? Dissonance always tends to capture people’s attention. So when I know that something that I like, is hated by my friend (or vice-versa) it makes me pause for a while (even in the occasional social media ‘rush hour madness’) and compels me to reflect upon this new equation, this new conversational dynamic and makes a participant out of me. Isn’t that cool? Sadly the founders themselves feel that this could soon be seen as a blasphemy by Facebook as it could go against their social media philosophy, and hence fear that it could soon be shut down by Mark Z and his aides. I, for one believe that there is a phenomenal opportunity in the idea – as a consumer and more importantly as a marketer. Interesting co-incidence that my previous blog post was about brands that have sought to create a distinctive and (in some cases like Marmite) an almost irresistible kind of proposition by using a HATRED related angle. Let’s take Marmite as an example.To take their positioning that you either love it or hate it, to the next level, it could potentially have ‘fans’ (or let’s’ say active participants of a community) who declare their authentic affiliations towards the brand on their Facebook page. Tons would love/like it (as the pouring online evidence shows). Many could even hate it (as the brand communications boldly state). Just imagine. If there were to be an EnemyGraph kind of platform that helps the brand to capture these strong dual affiliations online, wouldn’t that be a very powerful source that truly reinforces its fundamental brand truth and thereby its iconic appeal? Lasltly, to sign off and to quote Dean Terry..
And yes, do check out the EnemyGraph site, it even has a “Trending List of Enemies”. And guess who is in the top 5 list? Internet Explorer – the browser that you loved to hate! This entry was posted in Uncategorized and tagged Community Management, Content Curation, Facebook, Marmite, Social Media, Unlike. Bookmark the permalink.